The Trail Smoke Eaters look for their third straight win on home ice as they return to the Trail Memorial Centre to host the Merritt Centennials on Friday night. The Smoke Eaters and Centennials face off for the second time this season and are in Trail for their first of three meetings at the Trail Memorial Centre. It hasn’t been long since these two teams last met, clashing last Saturday in a 4-2 victory for the Cents. Mack Byers and Braeden Tuck each scored power play goals for the Smoke Eaters while Adam Marcoux made 32 saves on 36 shots in the defeat. Trail comes into Friday night’s matchup with a 10-12-4-2 record after a 4-1 setback to the Prince George Spruce Kings on Wednesday night at the Rolling Mix Concrete Arena. Chase Stevenson scored his first goal as a member of the Smoke Eaters on the power play with Adam Marcoux turning aside 31 of the 35 shots he faced in the game in his 12th defeat of the season. 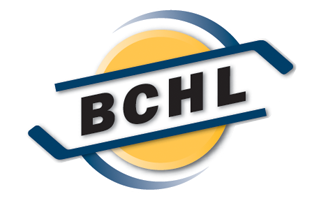 Trail is eyeing their third straight victory on home ice coming into tonight’s game after back-to-back 3-2 victories last week against the Vernon Vipers and Wenatchee Wild at the Trail Memorial Centre. The month of November has seen the Smoke Eaters collect at least a point in each of their three home games this month, improving their record on home ice to 6-5-1-1. The Smoke Eaters get a boost to their lineup as defender Jimmy Darby makes his way back after missing the last five games. The North Vancouver, BC native received a five-game suspension for a blow to the head major penalty in the Smoke Eaters 2-1 shootout loss to the Coquitlam Express on November 9th. There hasn’t been a shortage of power play goals between the Smoke Eaters and Centennials this season as the two teams are in the top of the BCHL in goals for on the man advantage. The Cents lead the league with 30 goals on the power play with the Smokies following just behind in 2nd with 29, including two power play goals in Merritt six days ago. 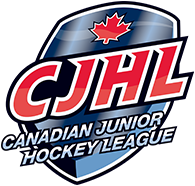 The Merritt Centennials come into Friday night with a 17-9-0-1 record and sit 2nd in the Interior Division after a 4-2 win over the Smoke Eaters last Saturday night at the Nicola Valley Memorial Arena. Nicholas Wicks, Ben Ward, Rylan Van Unen and Brendan Schneider each scored in the game for the Cents while Austin Roden picked up his 11th victory of the season, making 30 saves on 32 shots. Mississauga, Ontario native Bradley Cocca has taken the BCHL by storm in his second season with the Centennials, sitting 3rd in league scoring with 39 points in 27 games played. The Harvard University commit’s 27 assists sits second in the league behind Victoria’s Alec Newhook and has points in five of his last six games, registering a goal and 11 assists for 12 points in that span. Austin Roden has won seven of his last nine starts in between the pipes for Merritt, including each of his last three appearances in goal. The Victoria, BC native holds a 2.33 GAA and a .932 SV% over those last three starts, turning aside 96 of the 103 shots he has faced over his last 180 minutes played. The Centennials have had a good month of November, playing 5 of their 7 contests on home ice and collecting points in 6 of the 7 games during the month. Scoring 29 goals so far this month has helped the Centennials to the top spot in the league in goal scoring, collecting 108 tallies in their 27 games this season, three ahead of the Grizzlies for the BCHL’s #1 ranking. The Smoke Eaters and Centennials drop the puck at 7:00 PM from the Trail Memorial Centre with tickets available for purchase at the Smoke Eaters Main Office as well as at the door ahead of the opening face-off.